Parents whose kids are away at college have a tough tightrope to walk: they naturally want to stay connected to their children, yet they also need to let go. What’s more, kids often send mixed messages: they crave space, but they rely on their parents’ advice and assistance. Not surprisingly, it’s hard to know when it’s appropriate to get involved in your child’s life and when it’s better to back off. 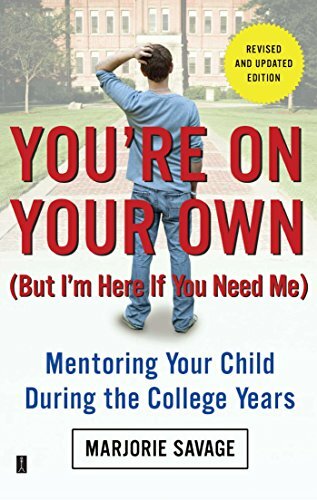 With anecdotes and suggestions from experienced parents and college staffs nationwide, the strategies and tips provided throughout will help you to create a loving, supportive partnership responsive to the needs of both you and your children.